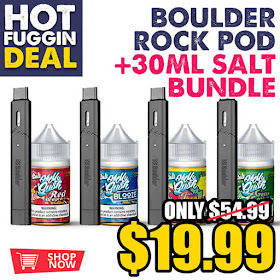 Here is a fantastic deal from Fuggin Vapor. 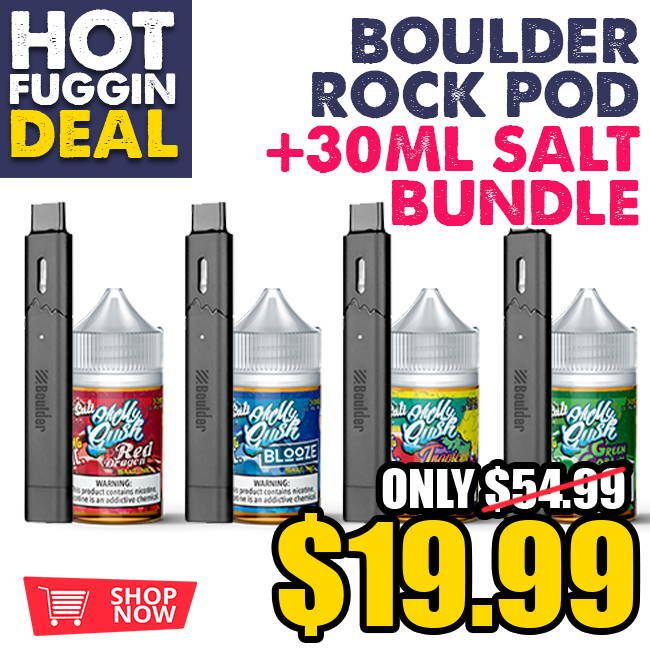 Right now you can get a Boulder Rock Pod system with your choice of nic salts for just $19.99. If you collect pod systems (like me), want a new pod system, or getting into them for the first time - this deal is just great for everyone's needs! This is the type of deal that will not last long.